God's Law, Was It Nailed to The Cross? The Scriptures plainly teach that God gave to the Jewish nation two separate and distinct codes of law; the one, moral, contained in the Ten Commandments; the other, ceremonial or ecclesiastical, contained in the forms, ceremonies, and services in offerings. 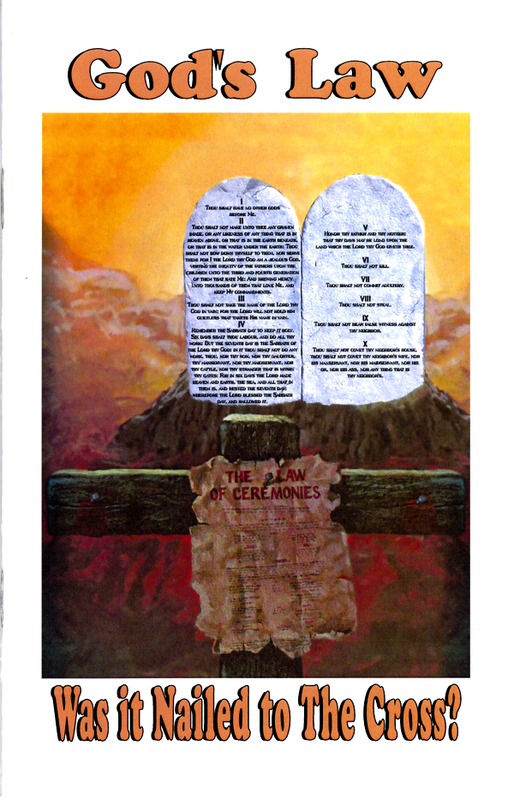 The law which Jehovah spoke with His own voice on Mount Sinai is separate from all other laws and statutes, and in nowise is dependent upon them. This law of Sinai is plainly spoken of as God's law. This was not its first introduction to the human race; it existed when the father of the race was created, and the earth became the home of the human family. God's law is as binding today as it was when He first gave it to the human race. First copy FREE, additional copies $.50 each + S/H.